I’ve proudly participated in my first Art Order Challenge. It was a small one, maybe even tiny! 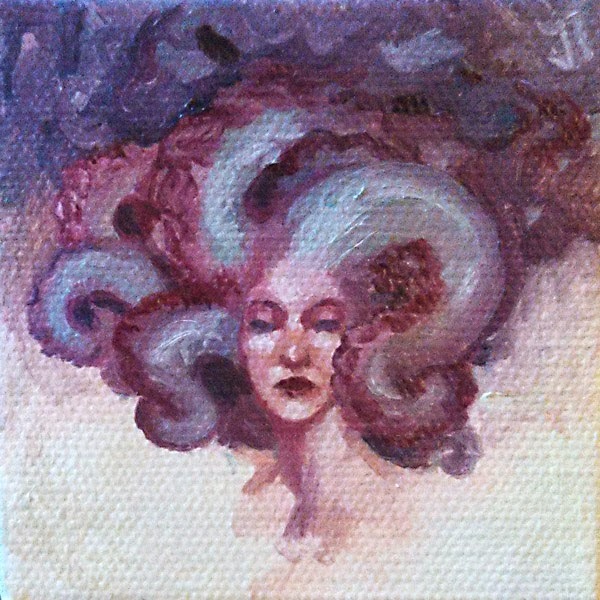 I submitted to the Tiny Paintings challenge (other entries are found here http://www.theartorder.com/challenges/past_challenges/15 ). The rules were that the painting had to be traditionally done and 3×3 inches, so I gave it a go! Now it’s going to Spectrum Fantastic Art Live with Jon Schindehette next month along with all the other entries. I’m glad that I finally submitted to an Art Order Challenge, it is something that I’ve been skirting around for months. Always thinking “I should do that” but never getting up enough gumption to do the project let alone submit it. So while this is a small project, it is a step; making way for the larger steps of progress.